What is the definition of Oxygen? It is a colorless, tasteless, odourless gaseous element that constitutes 21 percent of the atmosphere and is found in water, in most rocks and minerals, and in numerous organic compounds. It is capable of combining with all elements except the inert gases and is involved especially in combustion processes. The Physical and Chemical Properties are the characteristics of a substance, like Oxygen, which distinguishes it from any other substance. 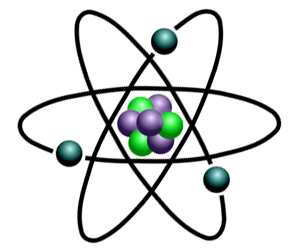 Most common substances, like Oxygen, exist as States of Matter as solids, liquids, gases and plasma. Refer to the article on Oxygen Element for additional information and facts about this substance. Oxygen Properties - What are the Physical Properties of Oxygen? Viscosity : Resistance to flow - stickiness. The viscosity is 189 millipoises (at 0°C). Oxygen Properties - What are the Chemical Properties of Oxygen?